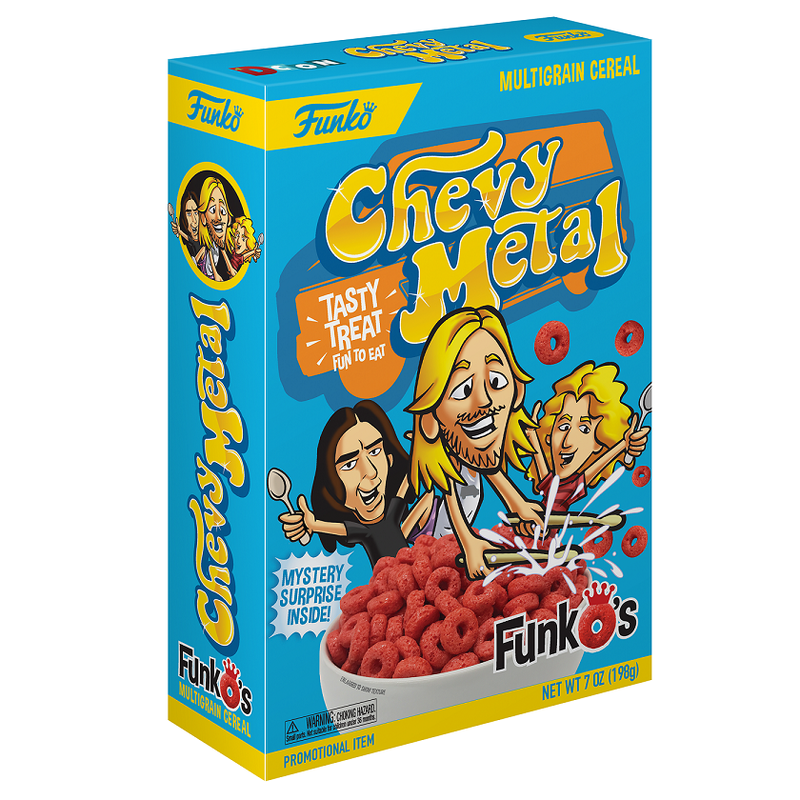 The Blot Says...: Chevy Metal and John 5 are set to ROCK the Designer Con 2018 After Party! 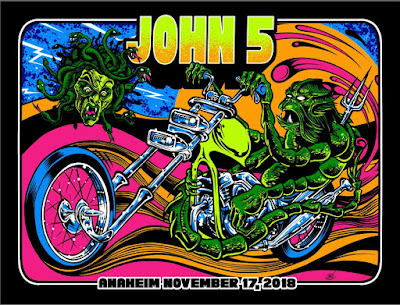 Chevy Metal and John 5 are set to ROCK the Designer Con 2018 After Party! 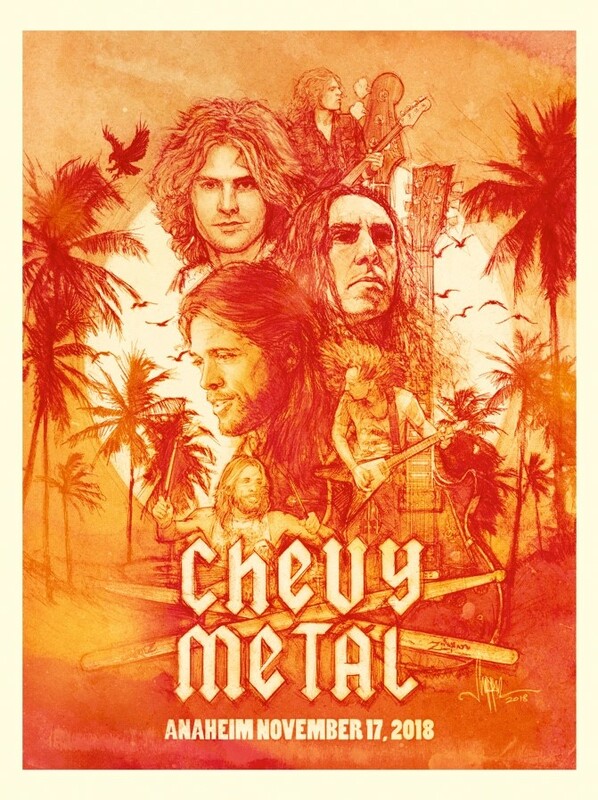 Chevy Metal is not your average cover band. No, they are the ULTIMATE PARTY BAND! 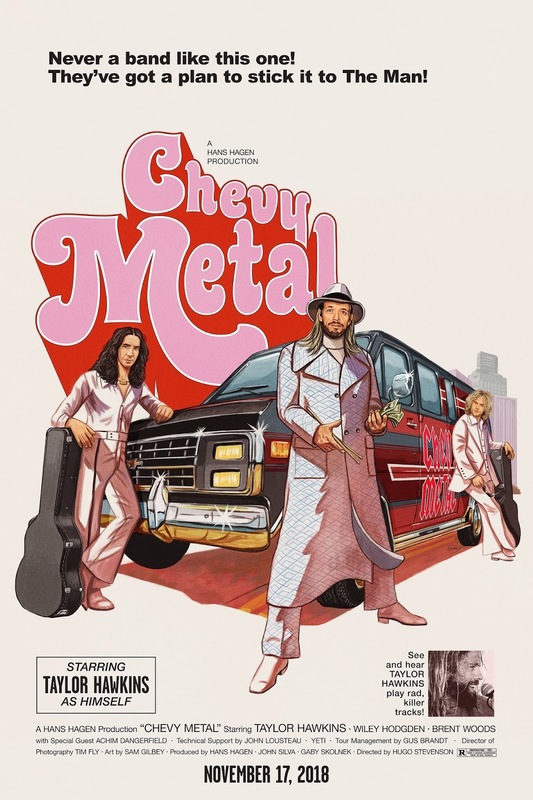 Formed by Taylor Hawkins and Wiley Hodgden, Chevy Metal has toured the world, been Mick Jagger’s backing band and played with some of the best musicians on the planet. 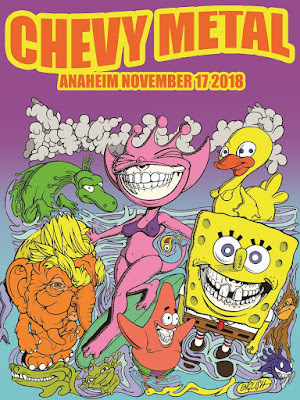 Playing only the sickest tunes from the ‘70s and ‘80s, Chevy Metal will be at Designer Con 2018 to rule the stage! 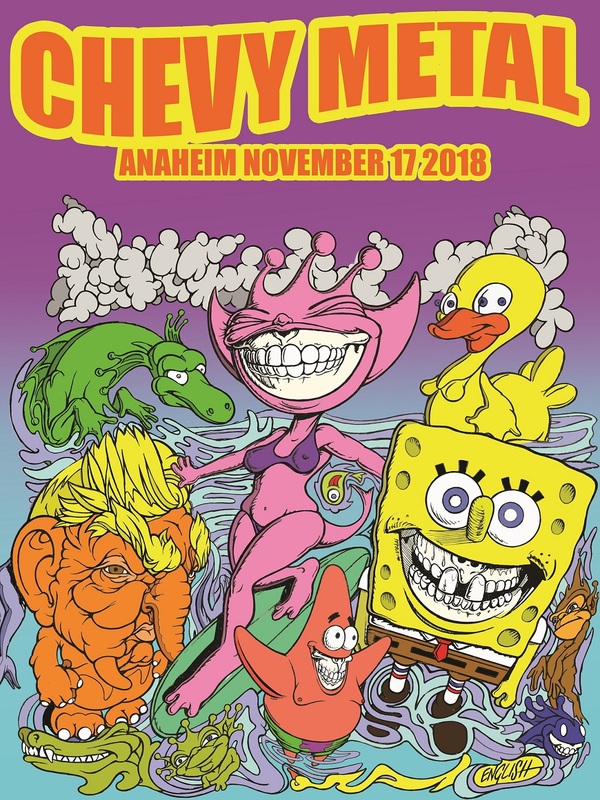 You see, Chevy Metal is set to take the stage at the Designer Con After Party on Saturday, November 17th, at the Anaheim Convention Center Arena. Opening the show will be none other than Rob Zombie’s prodigy guitarist, John 5 and his band the Creatures. The show is sure to be full of surprises, so you don’t want to miss out! The Designer Con 2018 After Party is being sponsored by Medicom Toy and Funko, who will be giving away exclusive merch FREE to those in attendance. 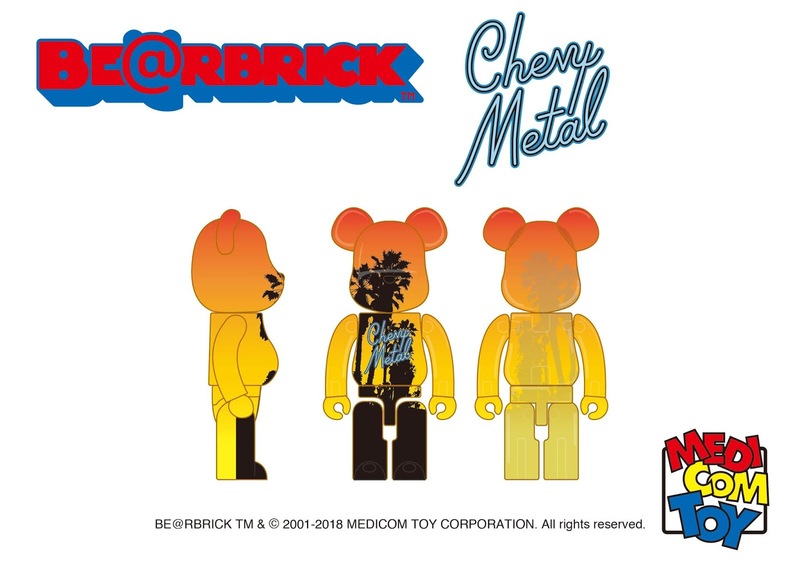 Everyone with a ticket to the show will get an exclusive Chevy Metal Be@rbrick by Medicom, and the first 1,000 people to redeem their tickets will get an exclusive box of Chevy Metal FunkO’s cereal by Funko. 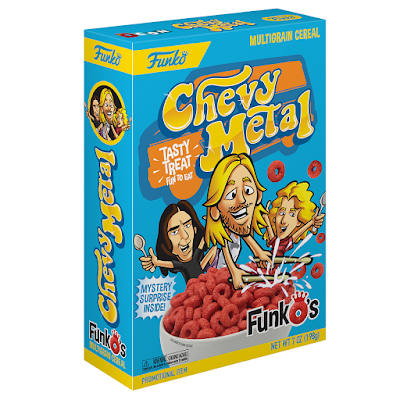 Chevy Metal will also have a variety of exclusive merch at the Road Crates DCon booth #1805. 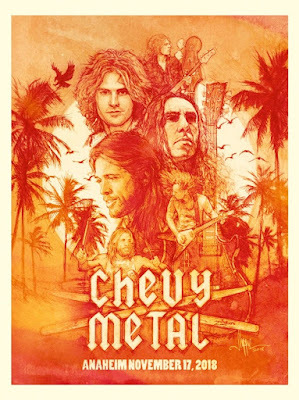 Among the notable merch, Chevy Metal will have three exclusive prints on sale. The prints are all limited to 200 pieces and have been designed by the incredible talents of Ron English, Paul Shipper and Sam Gilbey. The Ron English print ($35) measures 18”x24” and is limited to 200 signed and numbered pieces. The Paul Shipper print ($35) measures 18”x24” and is limited to 200 hand numbered pieces. The Sam Gilbey print ($45) measures 24”x36” and is limited to 200 hand signed pieces. 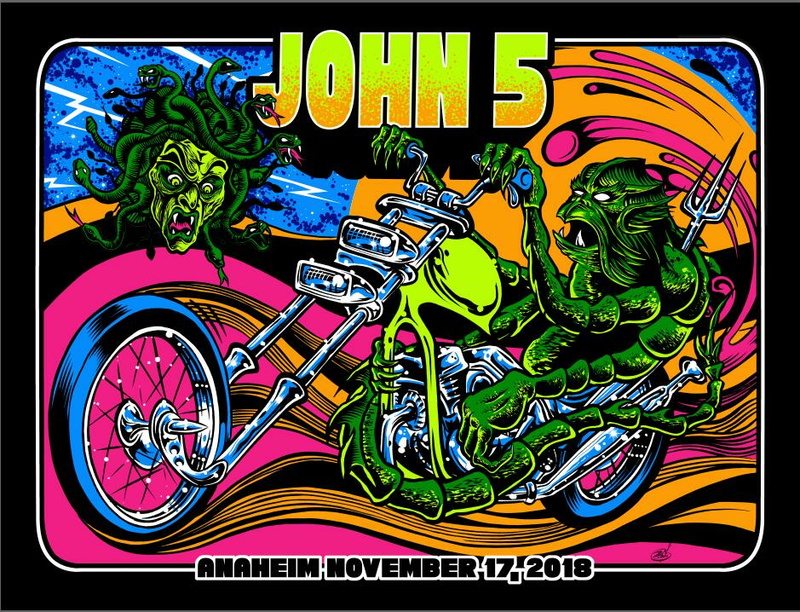 John 5 will also have an exclusive poster, by artist Dirty Donny, sold exclusively at the Road Crates DCon booth#1805. The Dirty Donny print ($40) measures 18”x24” and is limited to 125 signed and numbered pieces.